I had some trouble with this challenge! 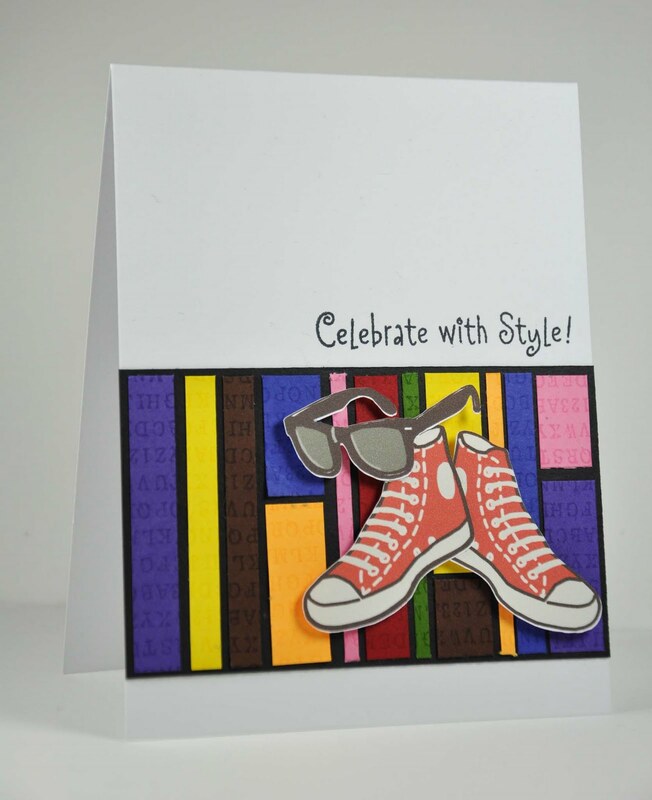 Moxie Fab is kicking off it's new edition magazine "Card Style" by challenging us to make a card in each style. I was watching an episode of Dear Genevieve and got inspiration from a crazy wall pattern she did in a rec room. Hers looks great! Mine...well I don't think I do well with bright colours. I decided to make this one for a friend who's birthday is coming up. 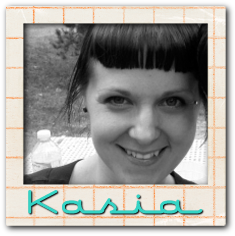 She is a very bright personality and she LOVES converse chucks. I was reminded that I had this print and cut in my silhouette library and thought I had better use it. The paper is just random scraps from my bin and the sentiment is hero arts. I felt the pieces looked a little barren, so I stamped a letters background stamp from cornish heritage farms in versamark onto them. 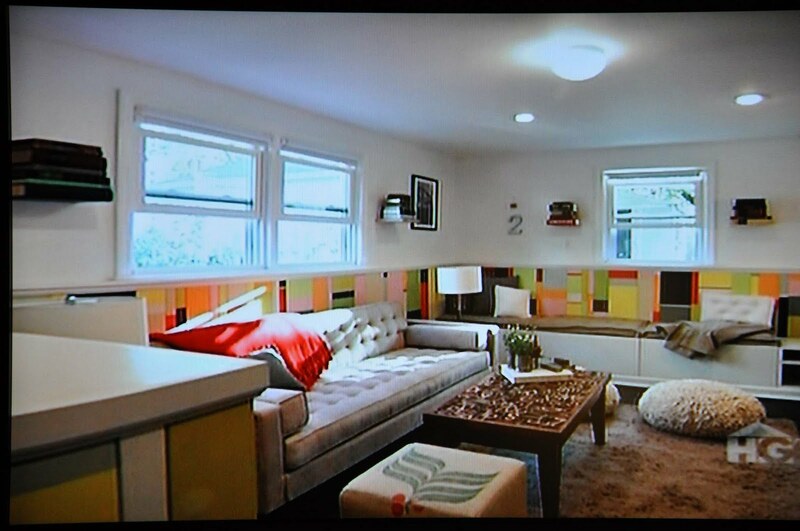 This is a pic (of the TV) showing the inspiration wall. This card was made with a few challenges in mind! First, the CAS challenge on splitcoast to use dry embossing. 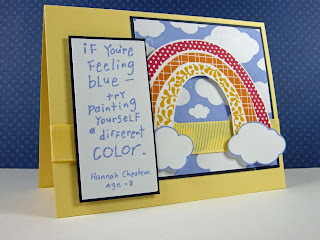 Second, the CAS-tastic challenge to use kraft and third, Moxie Fab's fun and cute challenge. 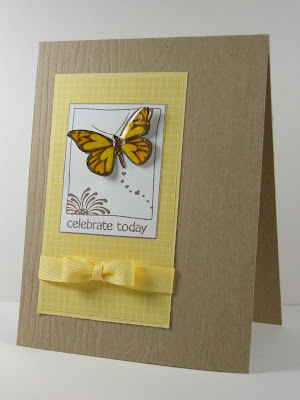 For the dry embossing I used Papertrey Ink's woodgrain embossing plate. 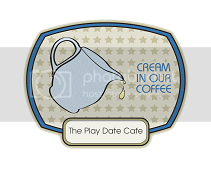 It has a pretty good result, I didn't know how it would turn out since I don't have their vanilla mat. I think it turned out well, the embossing that is! The stamp is Hero Arts, which I stamped in memento rich cocoa twice and on one coloured in the butterfly with copics. 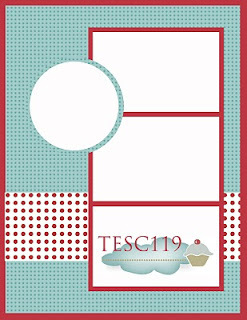 The other I cut out and layered the whole thing onto pieces of lemon tart cardstock and bitty box basics in lemon tart. The ribbon is also lemon tart. Once the butterfly was coloured and cut out I covered it in glossy accents to give it some shine. Thanks for stopping by! Have a fantastic Tuesday. It's funny that before our holidays when I had all this time (well a little more than now!) my mojo had fizzled. But now that I have essentially no time to craft, I find I have all these ideas and i just want to craft all day! I guess I'll just have to learn to time manage! So, I can't help myself, I love Susan's One-Layer-Wednesday challenge. 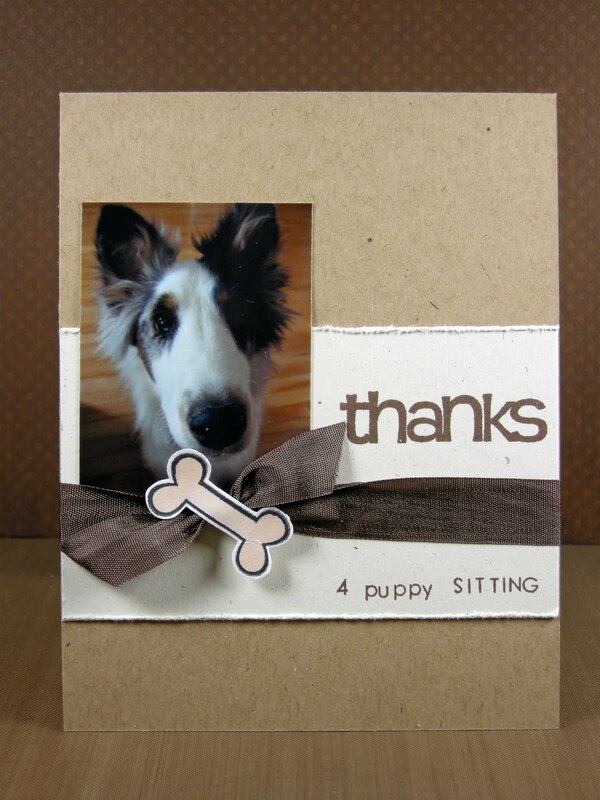 Problem is, this week it was to make a funny card. I am not funny. I am OK with this, I am perfectly happy to leave it to other people. Don't get me wrong I have a sense of humour, I am just unable to create it. 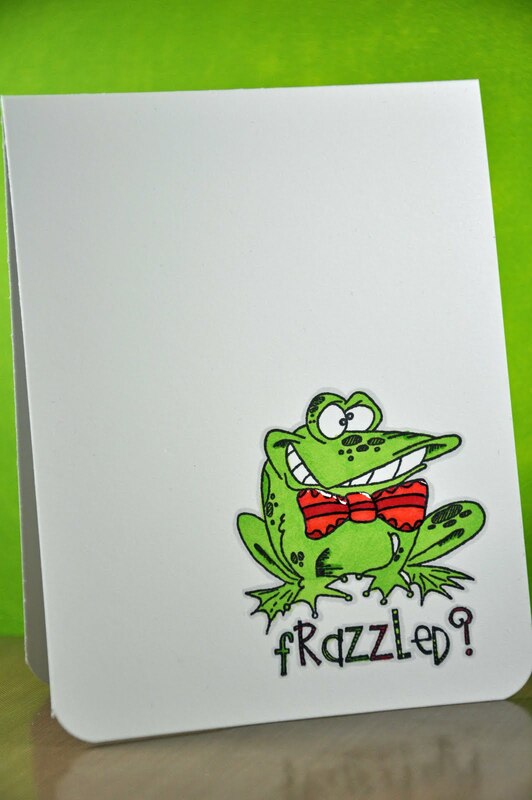 Therefore my card is more cute than funny, but the look on the frog's face did make me giggle. The picture is a little off kilter but I wanted to try to capture the glossy accents I put on his bow in an attempt to make it stand out. 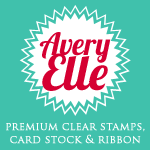 The stamp is by The Stamp Barn. It's an old stamp of my mom's. The sentiment is from one of the unity stamps kit of the month. 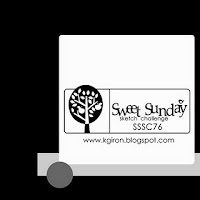 My next card isn't for any challenges or using any particular sketch. I wanted to use the balloons from a hero arts set I have and well...this is what came to be! I had originally wanted to tie them together with a bow but then I decided that with the blue background, I could make it look like they were just let go. There is something exciting and blissful about letting things float off into the sky!Thanks for stopping by, and thank you to everyone who makes comments. It really does make my day! Well we made it through our first home design appointment, that lasted 4 hrs! Who knew it could take that long just to figure out what the exterior of your house is going to look like! well....there was a little more to it than that, but still. We have 4 more appointments in the next 3 weeks. Yikes!! I recently found myself perusing a couple of new (to me) blogs, Paper In Bloom and Willow & Paisley and the latter hosted a challenge this week to make a thank you card. Which worked out well for me since I needed to make two for friends who were kind enough to agree to look after our puppy while we were on holidays. In my defense I gave them fair warning of what she can be like, but I guess we were even unaware of the depths of her devilishness!!! I had plans to make the picture into a magnet so my friends could remember how cute she is but I ran out of sticky magnet sheet. Blessing in disguise??!! 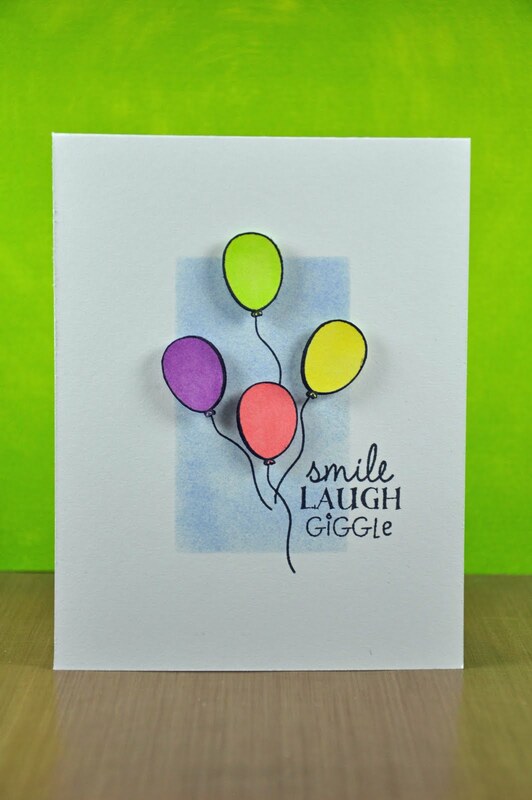 Please check out those 2 blogs, they have some amazing cards and crafts to inspire you. combined challenges - a perfect title for my life! Good morning! Or good night for me i guess! 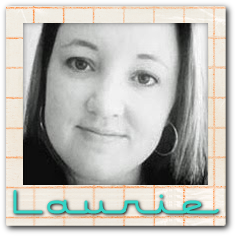 I'm just home from work and feeling slightly giddy/dopey, and felt the need to create. I wanted to try out a monochromatic colour pallette, and I am in LOVE with purple lately. So this is the end result! I also wanted to try out a Taylored Expressions sketch. The papers are sort of random pieces, dots are from CTMH packaging, papertrey ink bitty boxes, and a scrap piece using a hero arts flourish background. 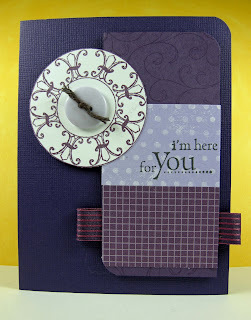 The medallion and sentiment stamps are Unity. I am super excited today because we are building our next home and have an appointment to choose exterior design stuff today! It's so much fun! I hope everyone has a fantastic day, thanks for stopping by. There has been a lot of bad news around my co-workers lately and as I was cleaning up I came across this lovely sentiment/quote by a little 8 year old girl. They say the most wonderful, strange, honest, funny things don't they?! 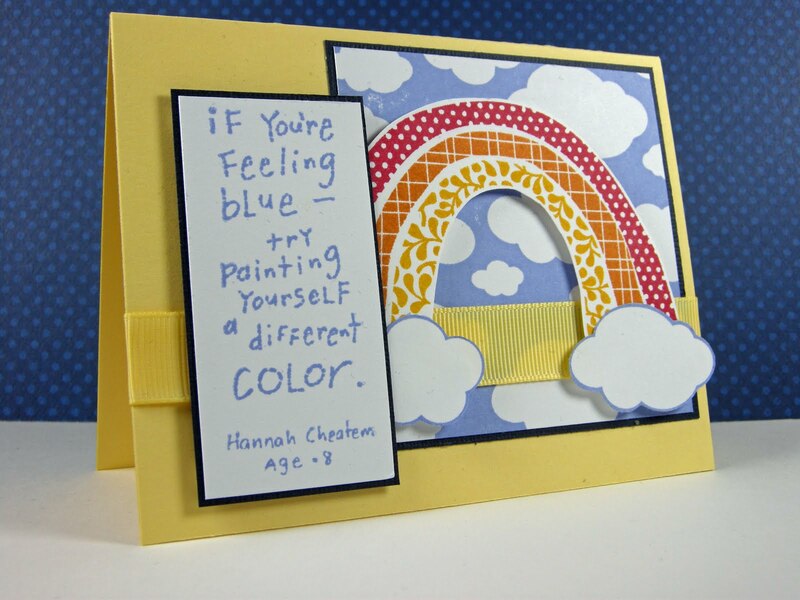 I thought how perfect, plus I have been itching to use this rainbow stamp from Close to My Heart. I wanted to keep a bright colour palette and try to keep within the boundaries of this weeks challenge from The Sweetest Thing. Thanks for stopping by and for all the wonderful comments! I hope everyone has a little sunshine in their lives! 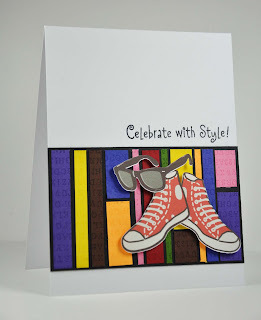 I figured what better way to re-enter the cardmaking realm than to do a challenge! After coming home from early summer holidays, starting renos so we can put our house on the market by August 1st, oh and work, I needed some me time. Since the one layer wednesday challenge was "patriotic", and we've been out of the country for 3 weeks, I definately needed to get crafting! I thought I better get back in slowly with something simple! Ha! It took 3 tries and I'm still not ecstatic about the result but that's ok. 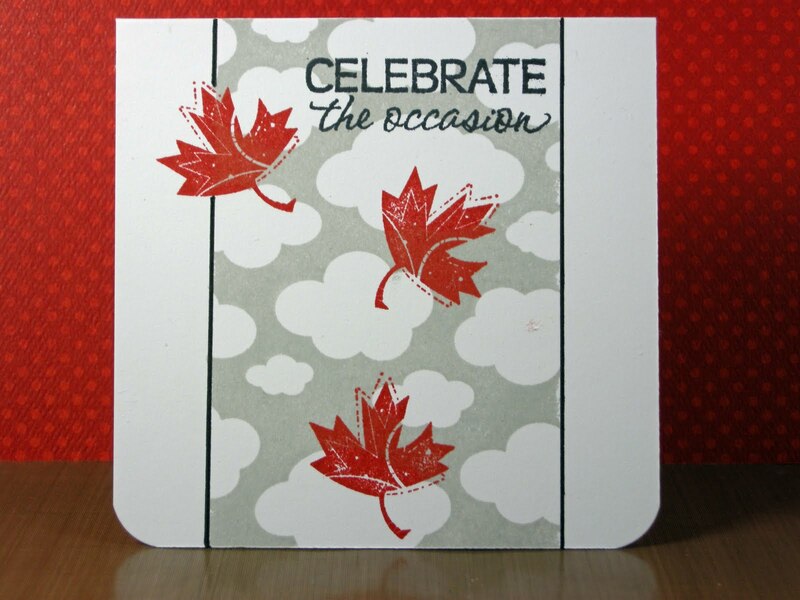 I couldn't find any fireworks and I really wanted to use my new clouds background stamp, then I found this leaf. I thought, since the weather here has been so crappy and rainy, falling leaves might still be appropriate given the circumstances! 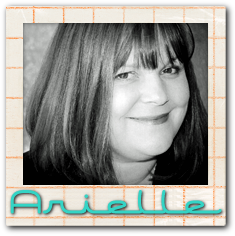 Thanks so much for looking, and I can't wait to have some time to do some blog surfing of my own.